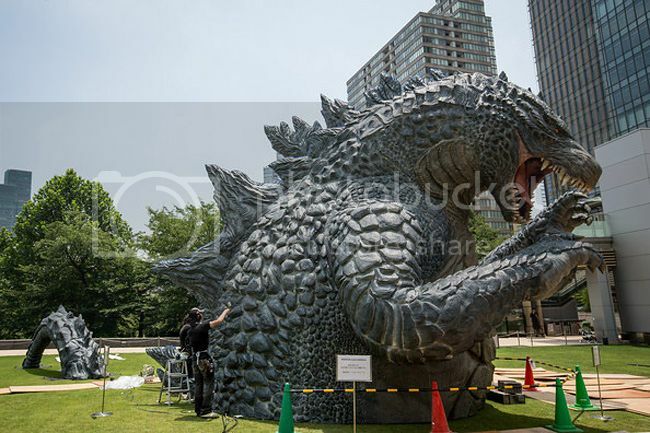 Crewmember Tetsuo Hayashi airbrushes the final touches to a 6.6 meter replica of the famous Godzilla at Tokyo Midtown on July 15, 2014 in Tokyo, Japan. 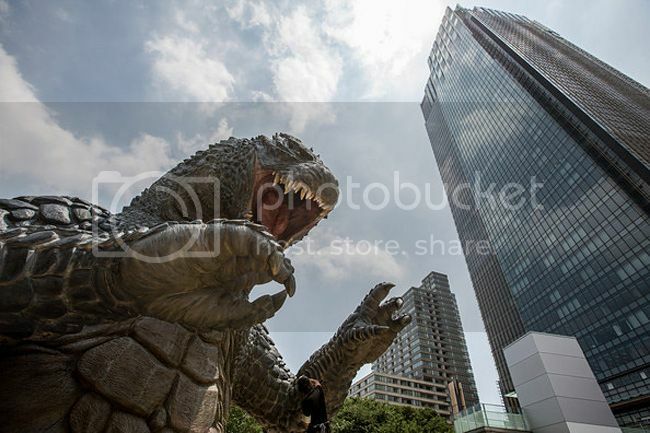 The “MIDTOWN Meets GODZILLA” project is in collaboration with the Japan release of the Hollywood film version of “Godzilla”. 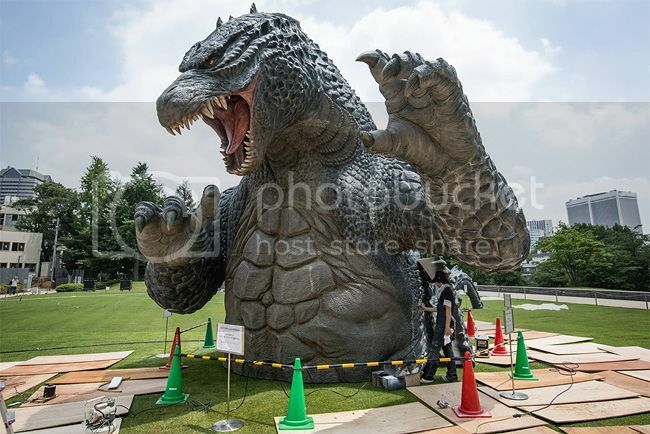 The Godzilla built on the lawns of Tokyo Midtown will host a light show everynight complete with mist, audio and fire rays.